Photographing highly reflective objects can be one of the most challenging tasks a product photographer can face. Simply trying to control and modify the reflections that show up can prove to be daunting, particularly when you've got an object that reflects everything in the room, such as this highly reflective black teapot. But once you know how to modify these reflections through basic lighting techniques, getting professional results can be a lot easier than you might think. In this lesson, photographer Ben Clay examines the nature of reflections in a sphere-shaped object and illustrates some effective methods to creating natural-looking product shots. The result reveals the common effects from this type of lighting. 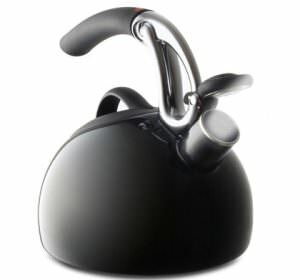 The camera rendered a good exposure of the teapot, but there are several reasons why this image fails as a product shot. First, there are the distracting reflections. Since the teapot is highly reflective, it mirrors everything in the room including windows, the table and three separate reflections of the camera flash. The flash also creates a hard-edged shadow on the table and flattens out the perspective of the teapot considerably. In person, this teapot is visually compelling, yet this rendition fails to do it justice. To improve on this snapshot, I first brought the teapot into my small home office and set up a simple lighting set. I placed two sawhorses near the corner of the room and placed a sheet of white foam core in the corner to create a little pocket of white reflective surfaces (the foam core and the two intersecting white walls). The result showed an improvement over the last shot, but the reflections of the foam core, the SilverDome soft box and even the silver legs of the tripod were still quite obvious. Before I tackled the reflections of the SilverDome and tripod, I first started with the foam core. Again, the result showed a marked improvement, but the transition between the reflection of the foam core and the reflection on the back wall/ceiling was still sharply defined. Instead, I thought of a different approach. Rather than placing the teapot on a larger sheet of foam core or Plexiglas, I opted to create a makeshift pedestal for the teapot that would not render any table reflections. I cut out two small circular pieces of foam core (slightly smaller in diameter than the base of the teapot), adhered them together with "ghee" (a 50/50 mixture of kneaded eraser and modeling clay), cut a small hole in the center of the foam core, and rotated it onto the base of a tripod (with tripod head removed) so that the center screw held the foam core securely in place. Notice how there is no surface reflection in the base of the teapot? First problem solved. Next, I went about modifying the reflection of the SilverDome soft box. I first tried moving the Starlite Kit up and down, sided to side, even rotating the soft box to different angles to try and make the reflection look more natural, but it invariably just ended up looking like a white square stuck onto the surface of the teapot. And since the finish of the teapot was slightly mottled, it rendered the edges of the soft box as visibly jagged. The result showed a significant improvement over the previous shot, but the reflection of the soft box edges still appeared jagged. Also, the overall reflection was still somewhat distracting, as it fell of sharply from light to black. I wanted a gradual transition from light to dark across the teapot to give it a more natural sense of shape. To do this, I had to apply what is known as a double-diffusing technique. The Starlite Kit is composed of components that work to create diffused light. The light from the Starlite Head and Lamp pass through the interior baffle and front diffusion face of the SilverDome soft box to create a soft, natural-looking light. But as is evident in the examples above, the edges of the soft box will be easily revealed in any object that is highly reflective. To eliminate these hard-edged reflections, you need to place another panel of diffusion in between the subject and the soft box. I decided to use a LitePanel to work my visual magic. The LitePanel consists of a shock-chorded frame onto which you can attach various reflective or translucent fabrics. It's very similar to how a LiteDisc or MultiDisc works, only on a larger scale. The raw result shows a natural, well-lit rendering of a highly reflective object. The left side is illuminated with soft, graduated light, while the right side receives a subtle bounce-fill from the light reflecting off the right-hand wall. The image was now ready for a few digital enhancements. 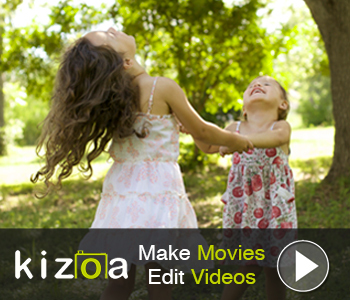 Click here for more information on the StarLite®: medium digital kit. Click here for more information on the LitePanel Kit.